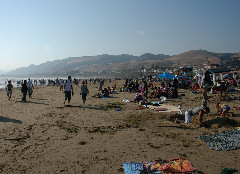 Friday, three day weekend - lot's of haze from the Big Sur fires in the air, and many San Joquin Valley tourist on the beach, to cool off from the heat. 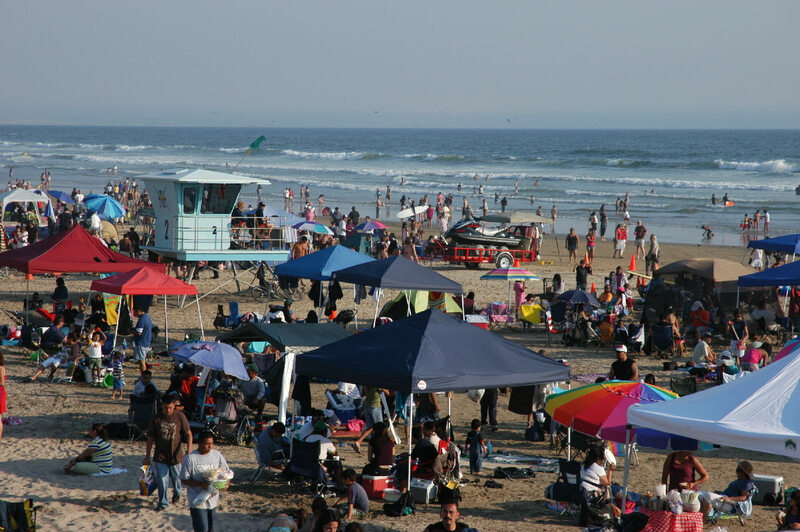 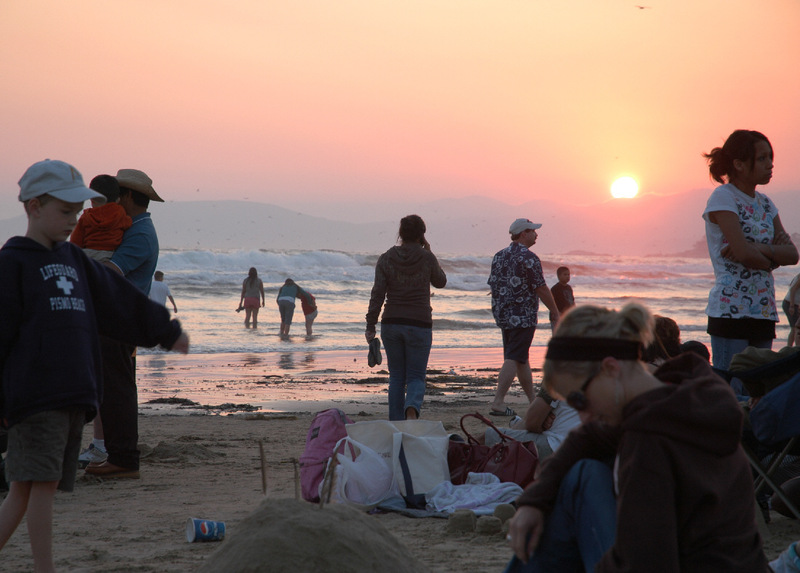 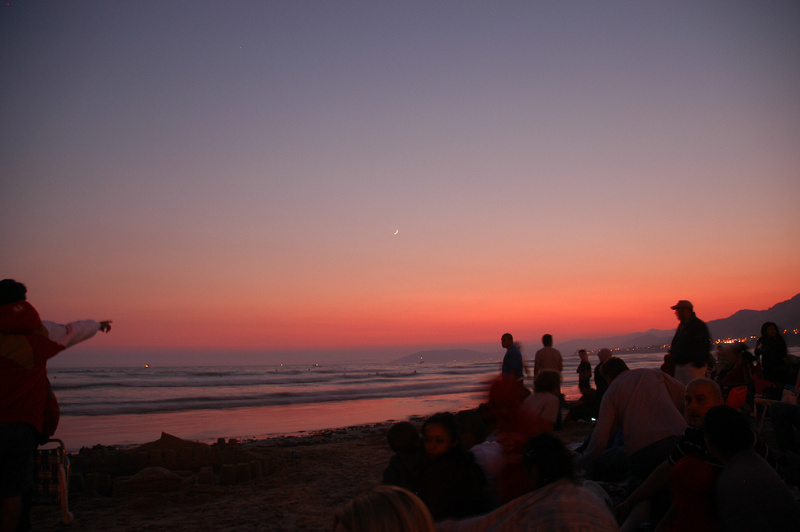 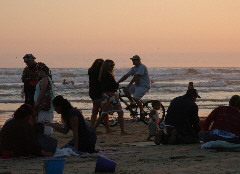 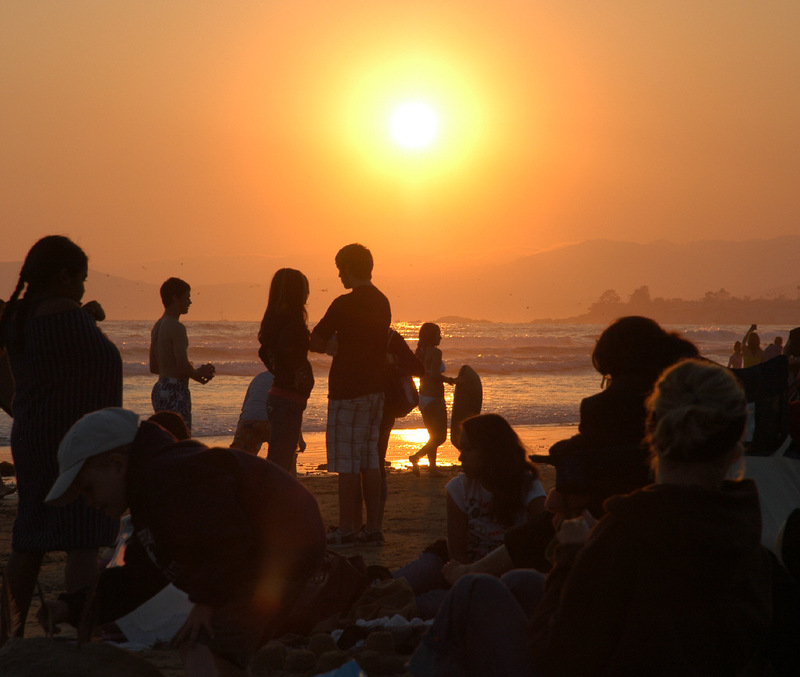 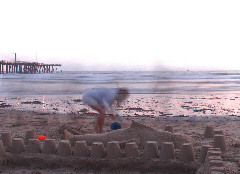 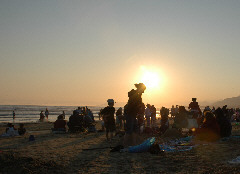 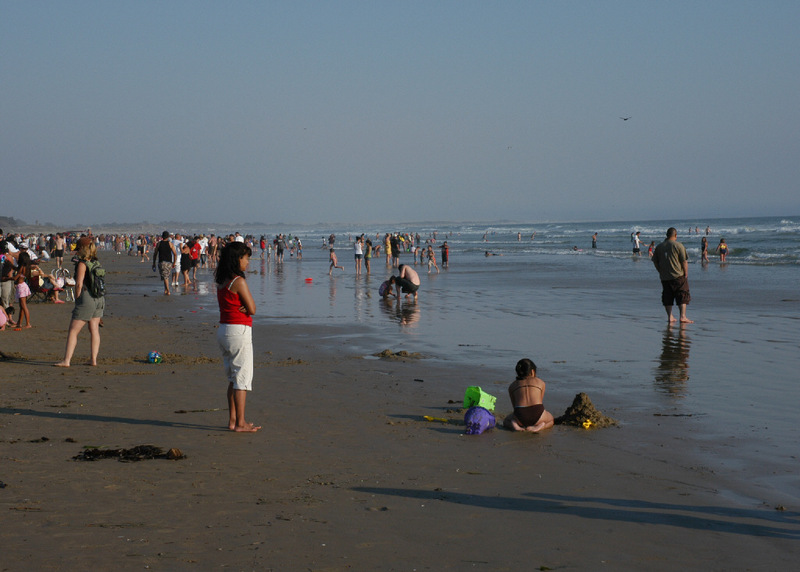 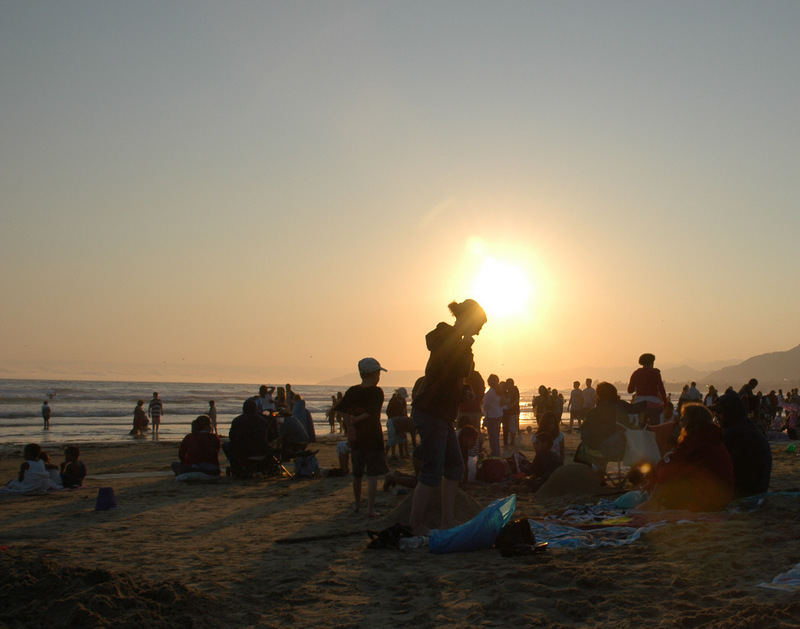 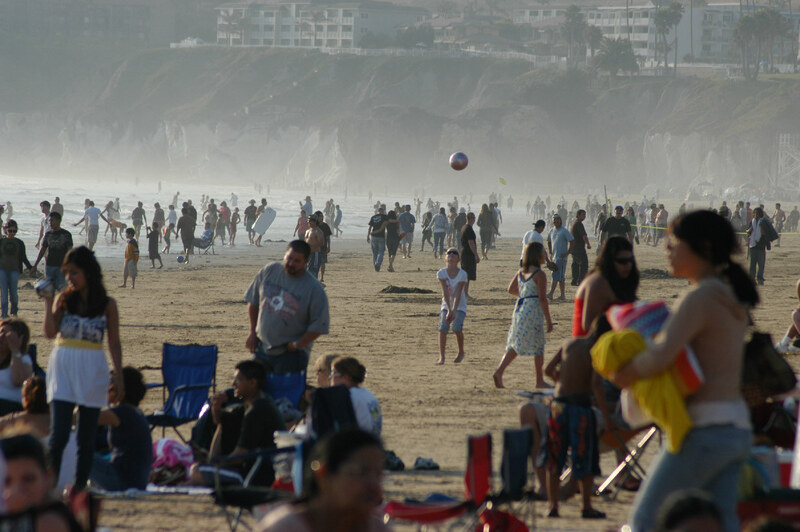 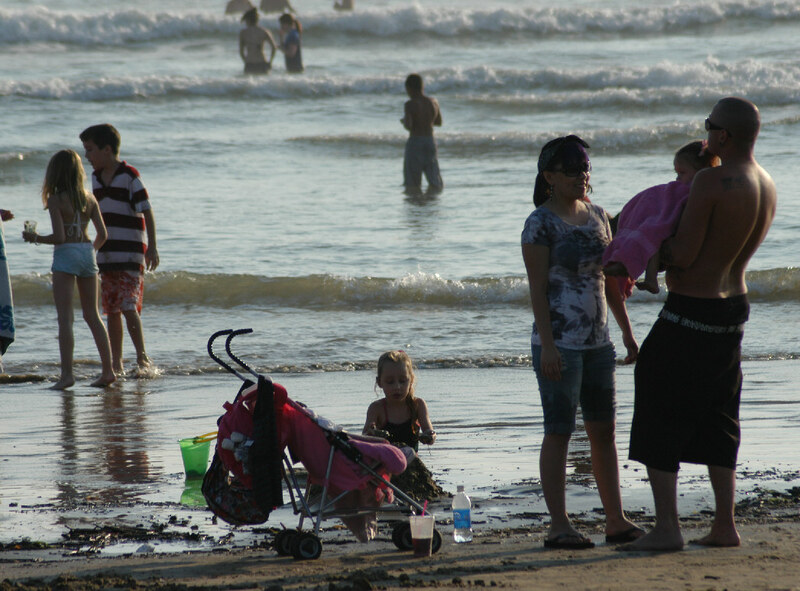 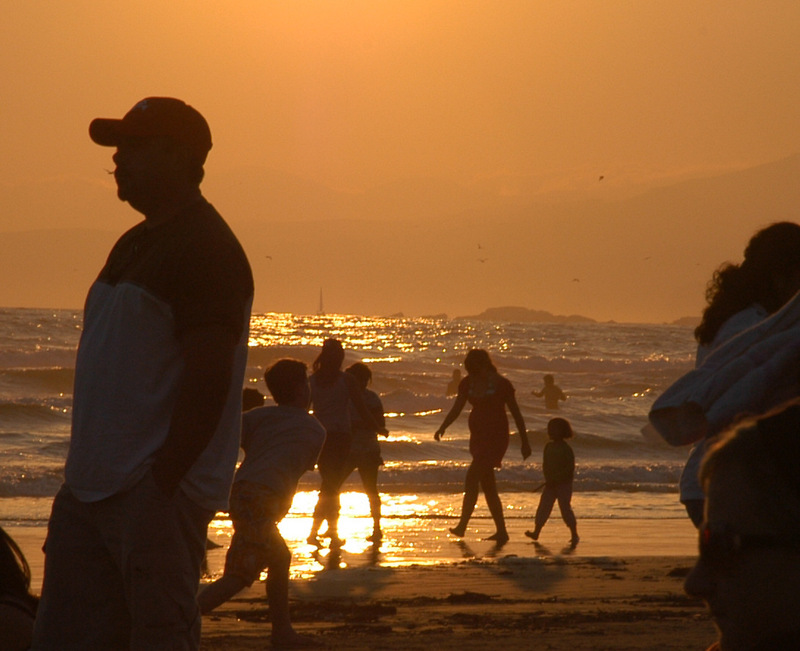 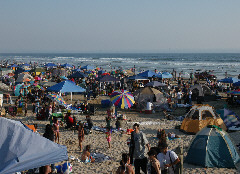 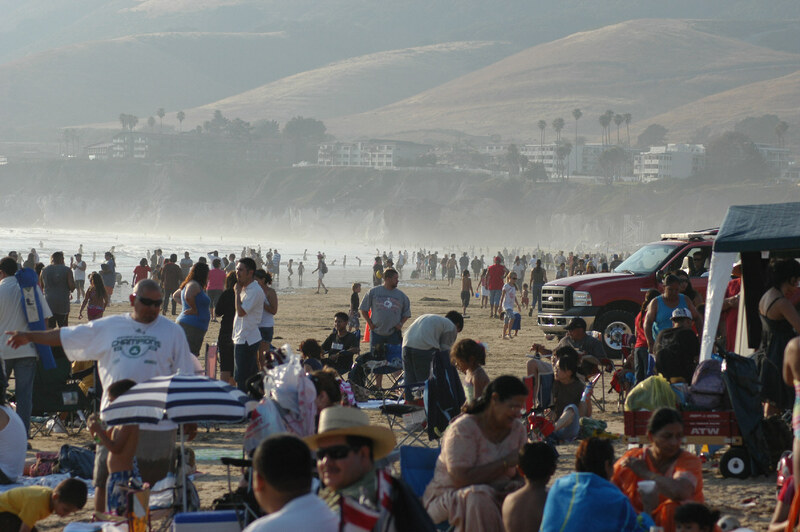 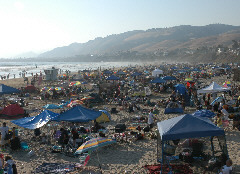 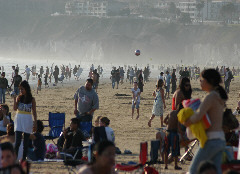 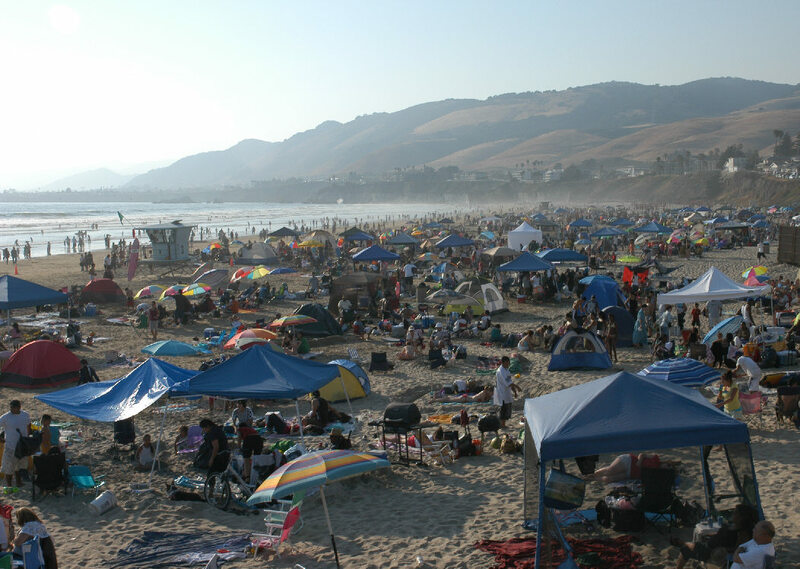 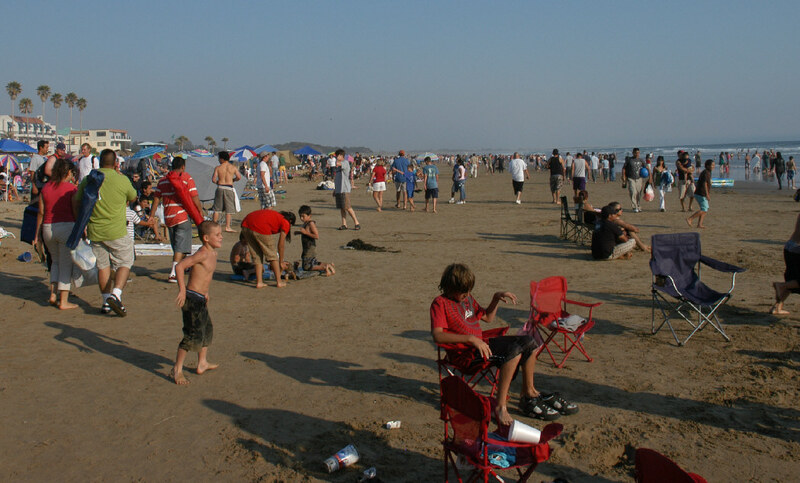 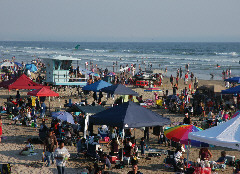 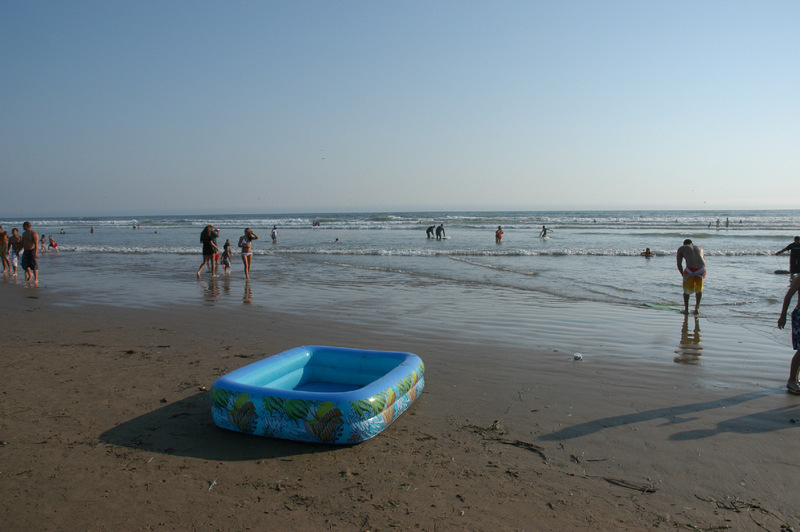 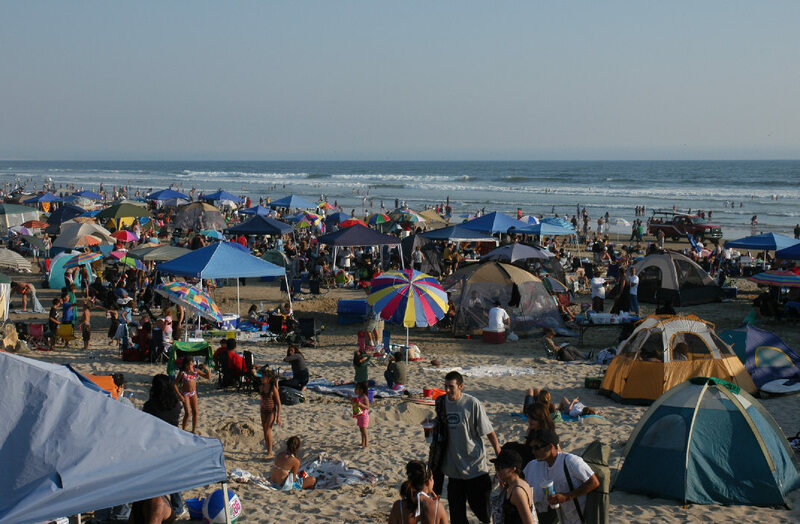 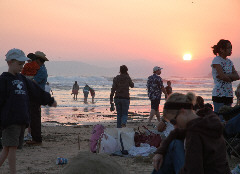 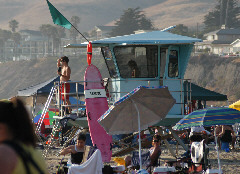 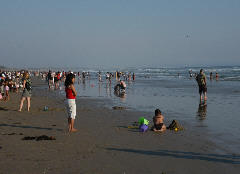 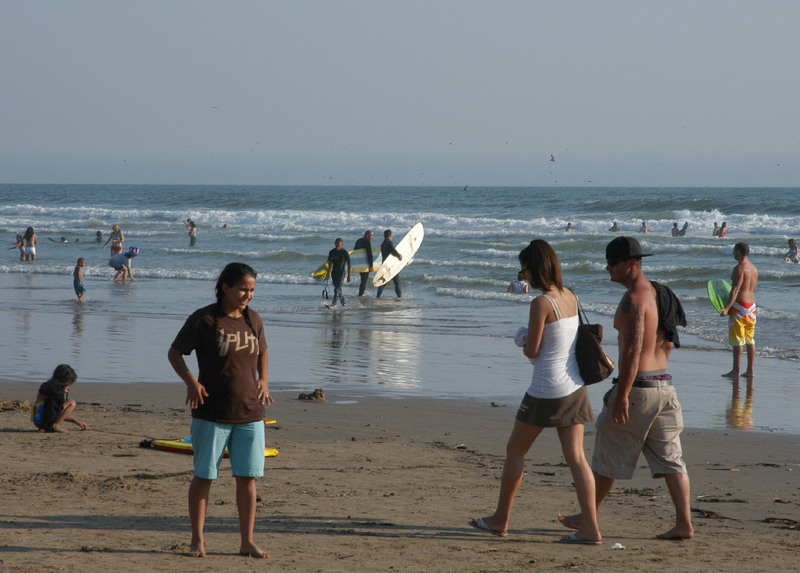 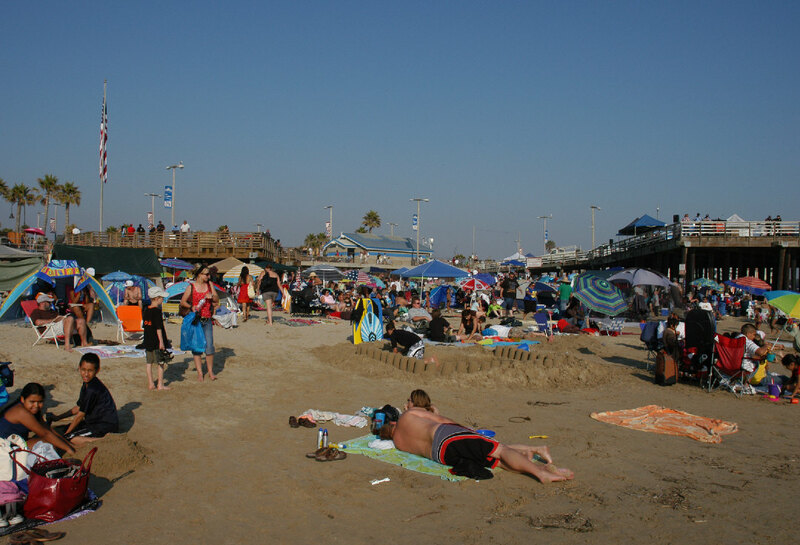 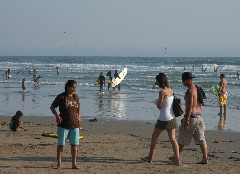 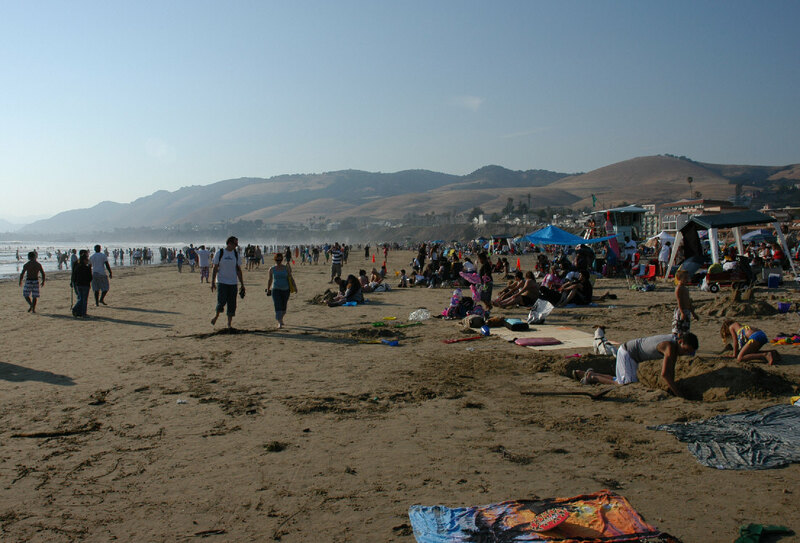 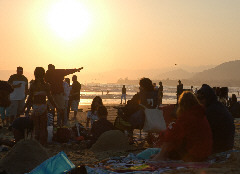 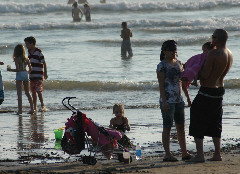 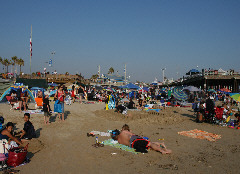 First up - are pics of the crowd; most I've seen in the last 30 years of going to the fireworks show in Pismo Beach. 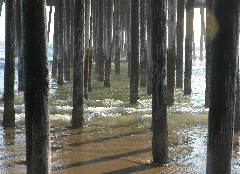 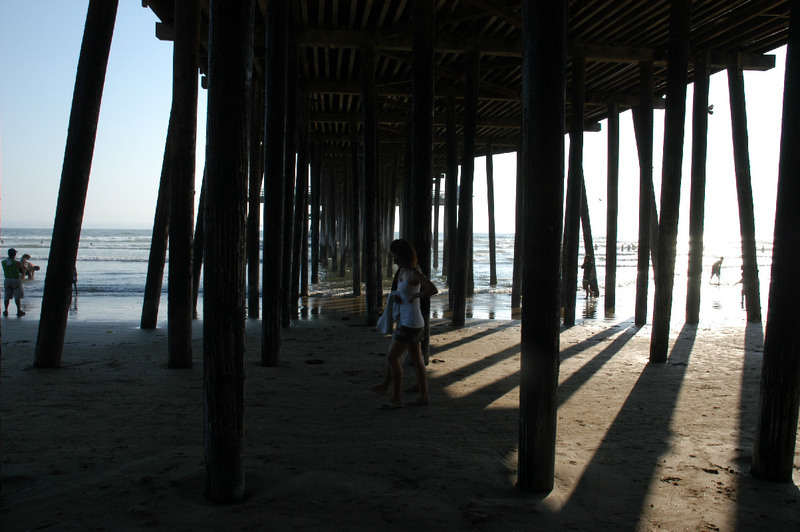 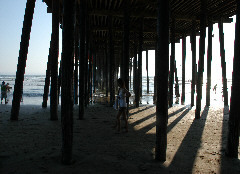 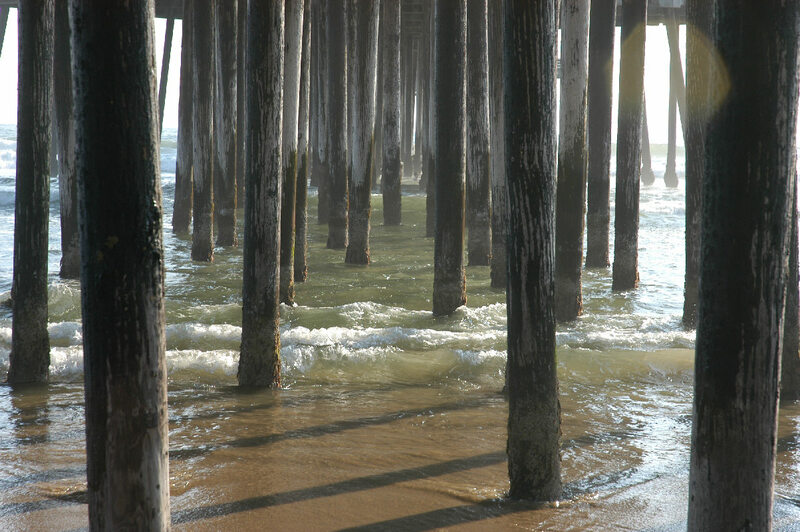 I enjoy taking shots using the pier pilings to define the scene. 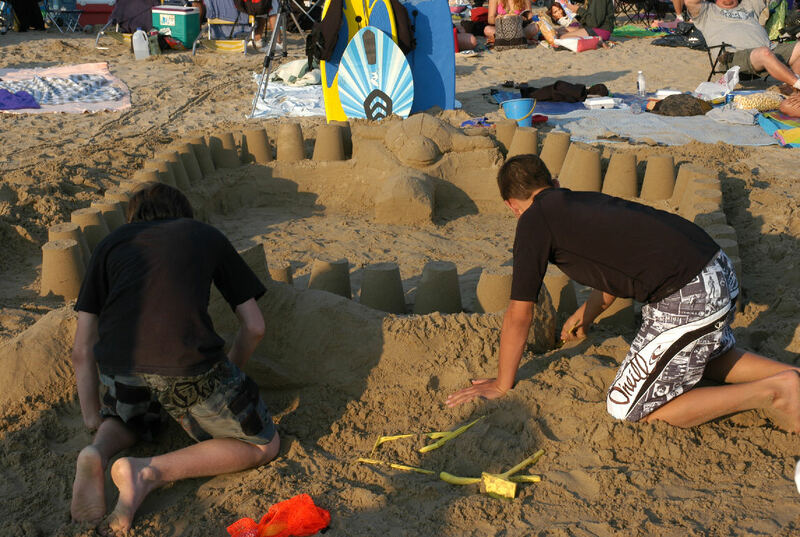 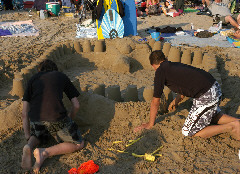 The Boys in front of us sculpted a sand shark & a sand turtle, by their dugout installation. 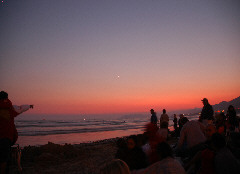 Sunset, while everyone anxiously waited for the show to begin.